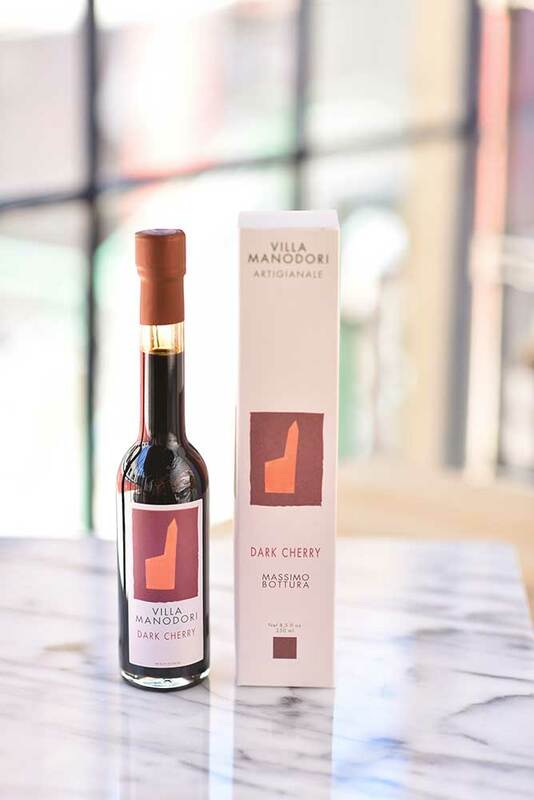 In Villa Manodori Dark Cherry balsamico, Massimo Bottura, Michelin-starred Chef of Osteria Francescana, has combined two Modenese culinary traditions: Vignola cherries and balsamic vinegar. The arrival in late Spring of these luscious cherries is awaited with great anticipation by locals and the Chef is no exception. 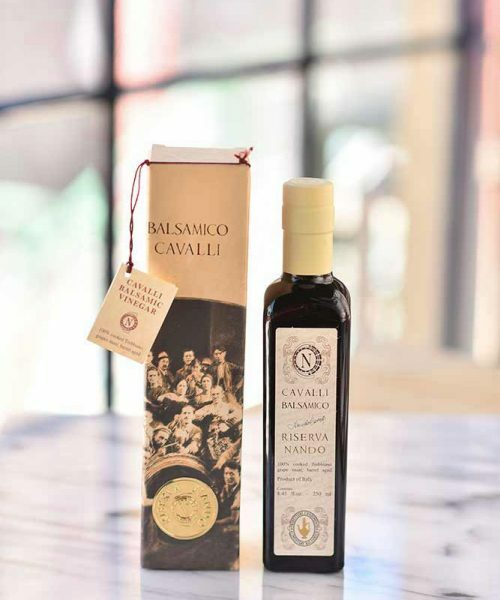 His Dark Cherry balsamico acquires its subtle undertone during the process of aging local trebbiano grape must with Vignola cherry wood. 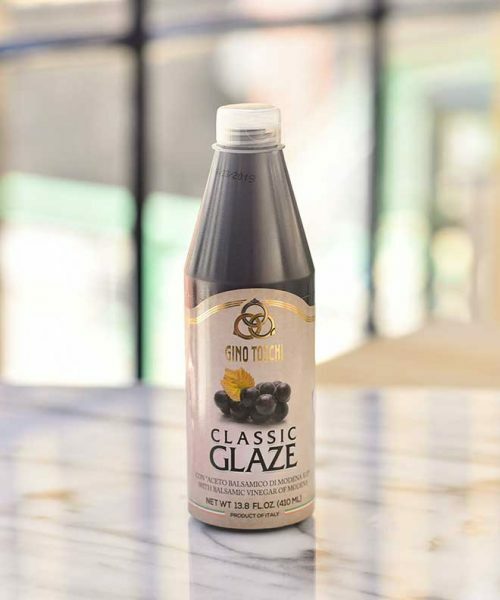 Dark Cherry balsamico perfectly glazes game, pork and duck. Add it to sauces or drizzle over grilled radicchio, endive, pepper or tomatoes. Toss bitter greens with Dark Cherry and Villa Manodori extra virgin olive oil or add a few drops to ice cream, creme brulee' or fruit salad for dessert. Massimo Bottura's combinatiom of two Modenese culinary traditions: Vignola cherries and balsamic vinegar. Dark Cherry balsamico perfectly glazes game, pork and duck. 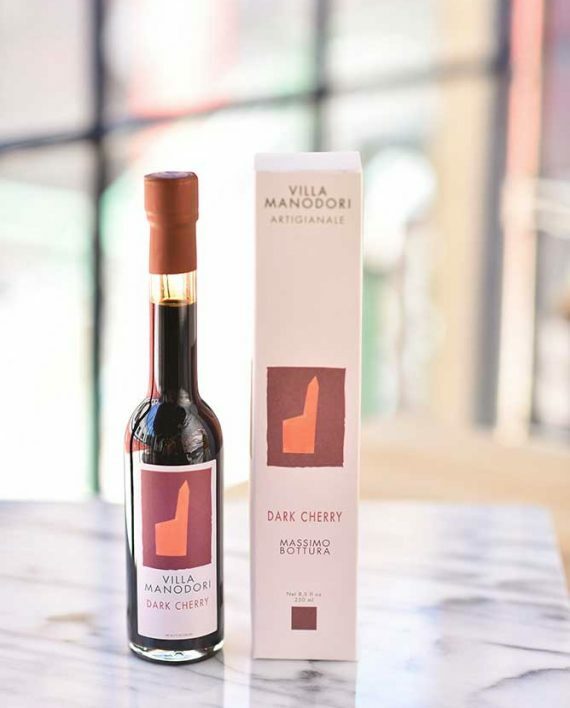 In Villa Manodori Dark Cherry balsamico, Massimo Bottura, Michelin-starred Chef of Osteria Francescana, has combined two Modenese culinary traditions: Vignola cherries and balsamic vinegar. The arrival in late Spring of these luscious cherries is awaited with great anticipation by locals and the Chef is no exception. 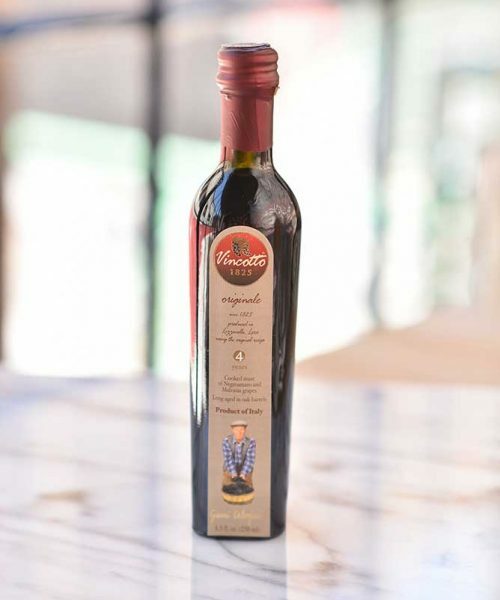 His Dark Cherry balsamico acquires its subtle undertone during the process of aging local trebbiano grape must with Vignola cherry wood. Dark Cherry balsamico perfectly glazes game, pork and duck. 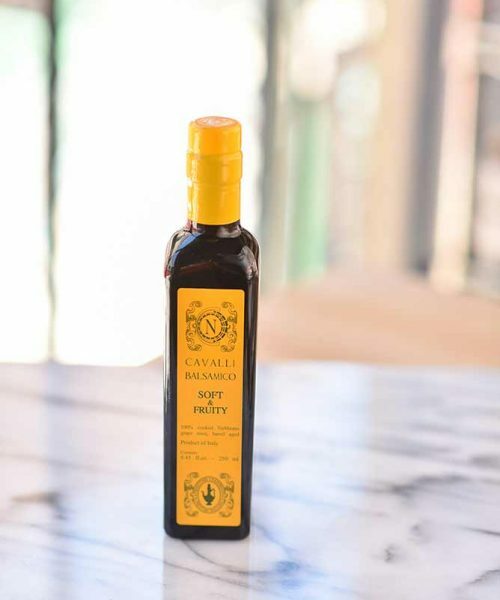 Add it to sauces or drizzle over grilled radicchio, endive, pepper or tomatoes. Toss bitter greens with Dark Cherry and Villa Manodori extra virgin olive oil or add a few drops to ice cream, creme brulee’ or fruit salad for dessert. Massimo Bottura’s combinatiom of two Modenese culinary traditions: Vignola cherries and balsamic vinegar.